Before you shop for that show-stopping diamond, hopefully you have gained an understanding of the Four C’s of Diamonds: Cut, Color, Clarity, and Carat Weight. But even if you know the Four C’s, it’s still hard to tell which diamonds are a good value. How do you know if a diamond with a high color grade but lower cut is a better choice than a diamond with a worse color grade and a better cut? You have to look at the whole picture. So let’s put the Four C’s together and see where we can find the best diamonds for the best price. Know Which of the Four C’s Is Most Important. The formula above is not necessarily set in stone, sometimes clarity might be slightly more important than color. But overall, that formula above is a pretty basic and helpful understanding of how you should prioritize your Four C’s when making a purchase. One thought to put in your head right now is to try and never skimp on the cut. The cut of the diamond is the most important quality. A good cut means that a diamond captures the perfect amount of light so that it visibly glistens from afar. A good cut is what makes people say “ooh” and “ahh”. You want to aim for diamonds with Good, Very Good, or Ideal cuts. Size is simply not as important when buying a diamond. If there is anything you should put less emphasis on when making your purchase, it is carat weight. It is better to focus your budget on the brilliance of the diamond (the cut), then to buy a larger diamond with a meager sparkle. In fact, buying a diamond that is just a fraction smaller than your desired carat weight can save you up to 20%, and yet nobody will tell the difference between your .92-carat diamond and an actual 1-carat diamond. People get obsessed with saying a diamond is “flawless”, because it is so rare. However, it is impossible to tell the difference between a flawless, internally flawless, and a very very slightly included diamond with the naked eye. So honestly, it does not make sense to think a flawless diamond will make your diamond that much better. Diamonds with a grade of VVS2 and higher are the best value, but don’t over think the prestige of a “flawless” diamond. At a certain point, even if the cut of a diamond is Ideal, the color must play a role in your decision. Buy diamonds with a color grade of K and above. Even if you find a flawless-clarity, ideal-cut M diamond, it is not worth your time if it looks frankly, urine-tinted. Carat Weight – If you have the best cut, color, and clarity, then the carat weight doesn’t matter. Of course, larger diamonds are more rare. A diamond with these top qualities would be magnificent, but not many people can afford such a diamond. 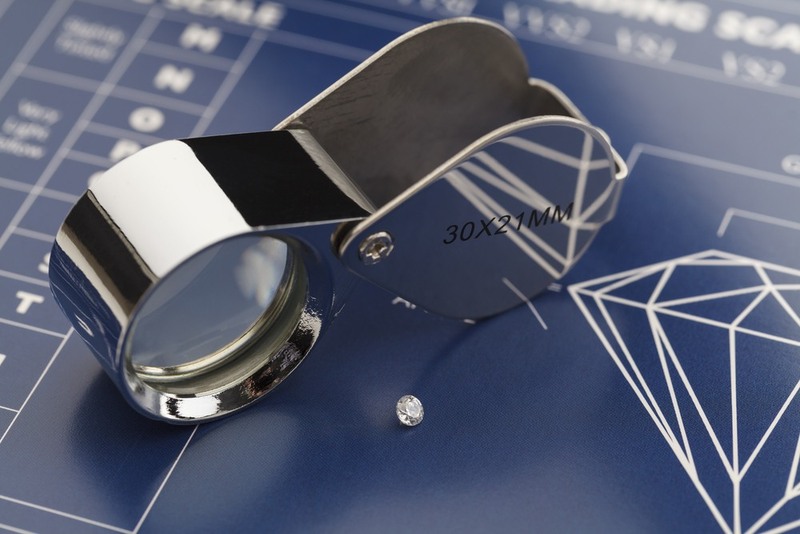 However, that does not mean you cannot find a diamond of excellent quality if you just pay attention to the rules above.